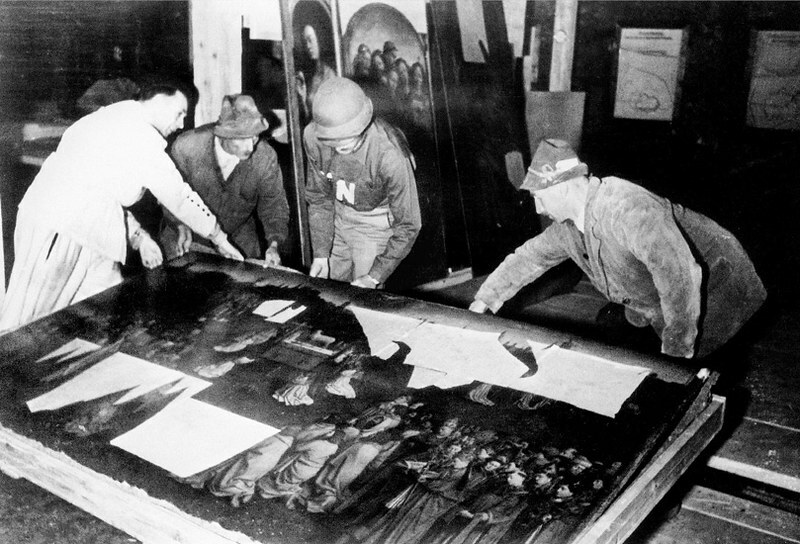 The Monuments, Fine Arts, and Archives program was established by the Allied armies in 1943 to help protect cultural property in war areas during World War II. According to Wikipedia, about 400 service members and civilians worked with military forces to safeguard historic and cultural monuments from war damage. Also they found and returned works of art and other items of cultural importance that had been stolen by the Nazis or hidden for protection. 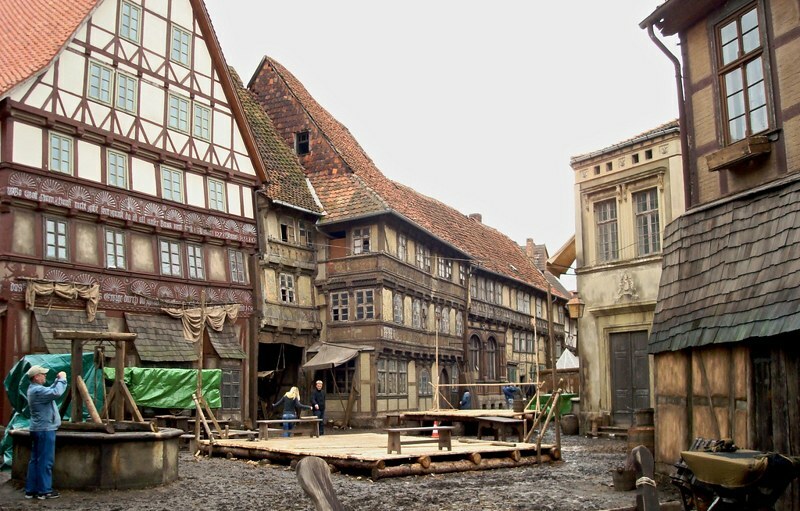 Directed by George Clooney and starring a distinguished troop of celebrities, the movie was filmed in UK and Germany. This production brings to the big screen the decisive moments, when many of the major cultural and artistic artworks of our civilization were about to be lost forever. 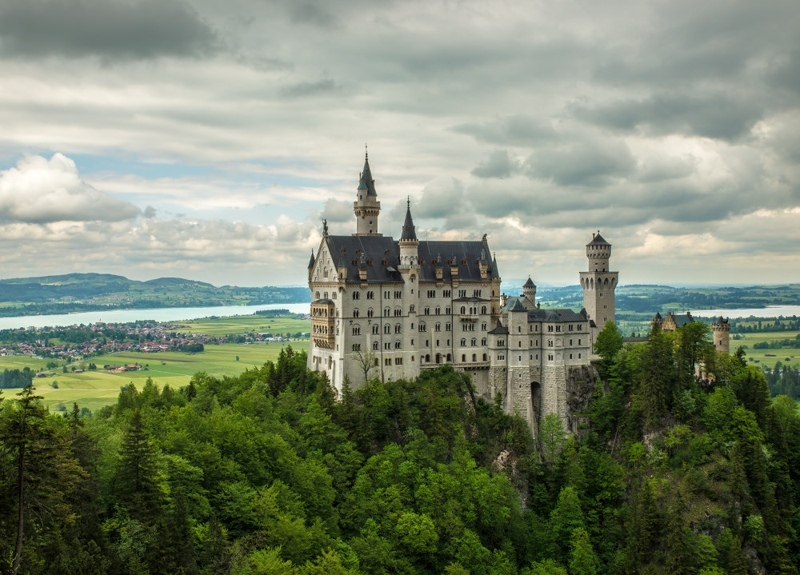 We will visit the locations where The Monuments Men was filmed, and also we'll travel to some of the places that played an important role in this story, based in the book The Monuments Men: Allied Heroes, Nazi Thieves and the Greatest Treasure Hunt in History. 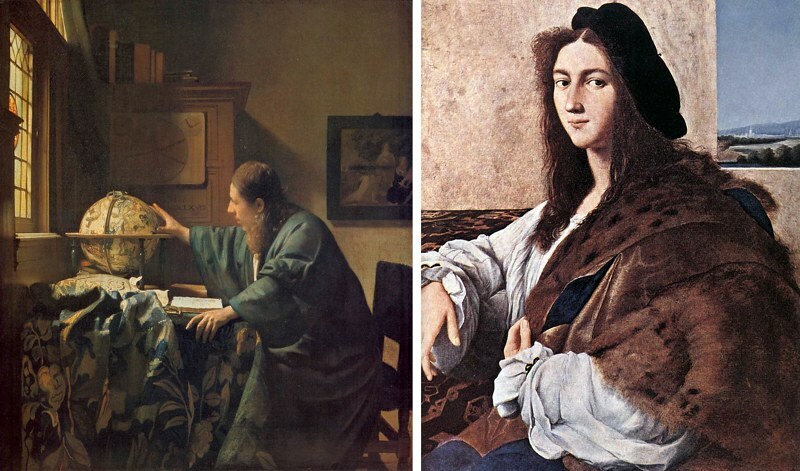 The Astronomer by Vermeer (left) was one of the thousands of paintings recovered after the war. On the other side, Raphael's Portrait of a Young Man is one of the masterpieces that were lost during the conflict. 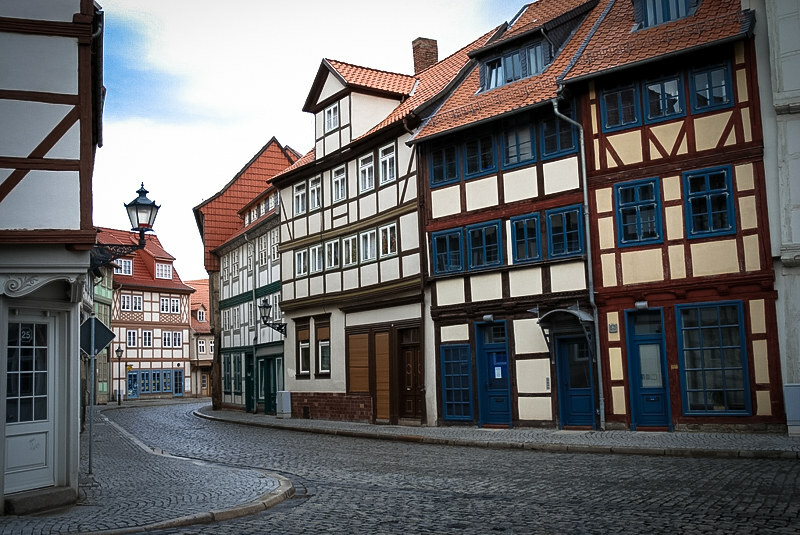 Halberstadt in Saxony-Anhalt. 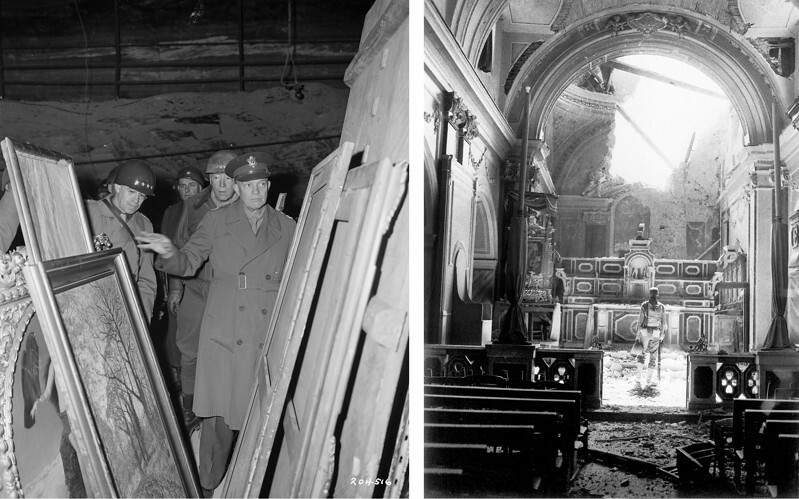 If the good guys were the Monuments Men, their counterpart in the Nazi side was the Reichsleiter Rosenberg Taskforce. The ERR was an organization dedicated to appropriating cultural property during the war, like the famous and still missing Amber Room from the Catherine Palace in Pushkin, Russia. American generals Patton and Eisenhower in Merkers (left). Monuments Men were present in very small numbers at the front lines. There was no established precedent for what they confronted. 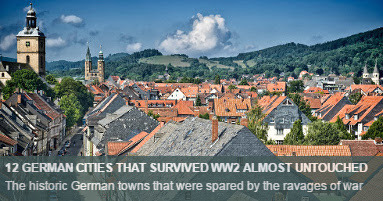 They frequently entered liberated towns and cities ahead of ground troops, working quickly to assess damage and make temporary repairs before moving on with Allied Armies as they conquered Nazi territory (Wikipedia). An example of the good work of the Monuments Men, was the urgent building of a temporary roof and saving what could be saved of the Camposanto of Pisa, burned by an Allied bomb. The old monumental cemetery was considered one of the most important and priceless artistic treasures in all of Italy. 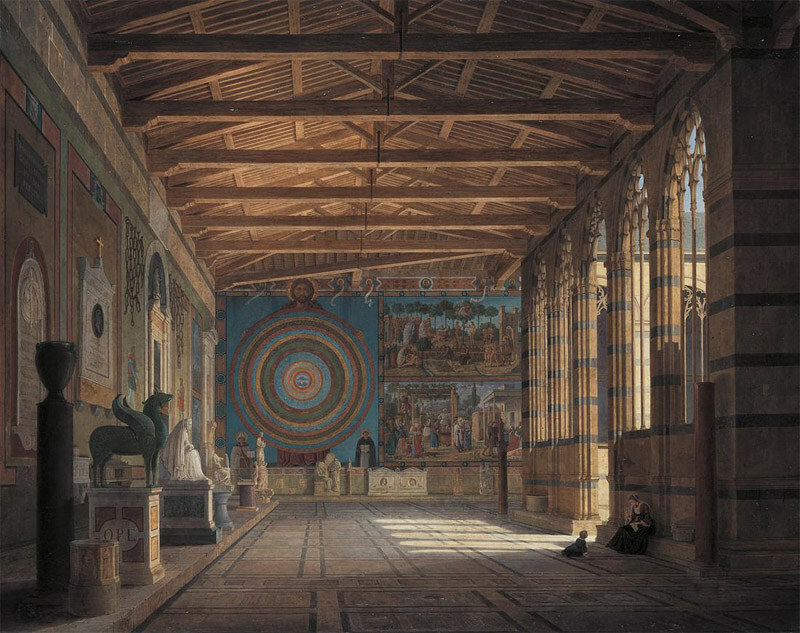 Image Leo von Klenze, Der Camposanto in Pisa, 1858. 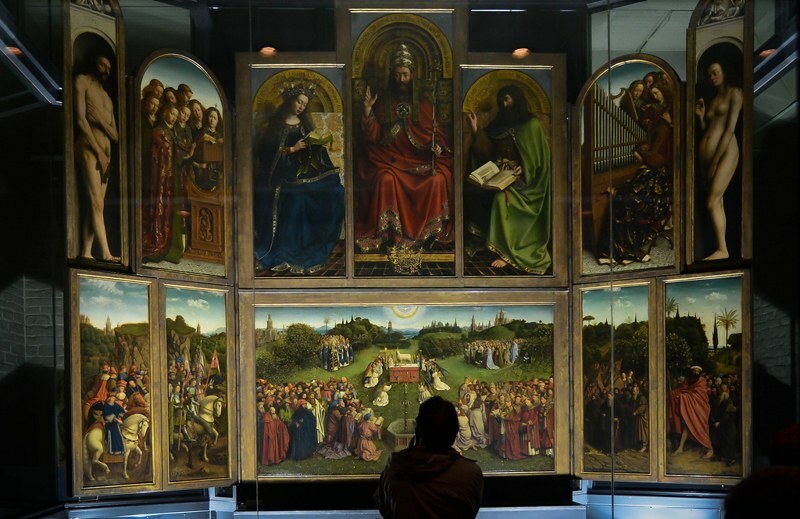 Jan van Eyck’s Ghent Altarpiece is one of the representative artworks chosen in the film to show the fate of these wonders. The fascinating story alone of this set of paintings, could be used to make another film. In the Battle of Monte Cassino (Italy) in 1944, allied bombing almost totally destroyed the old abbey. 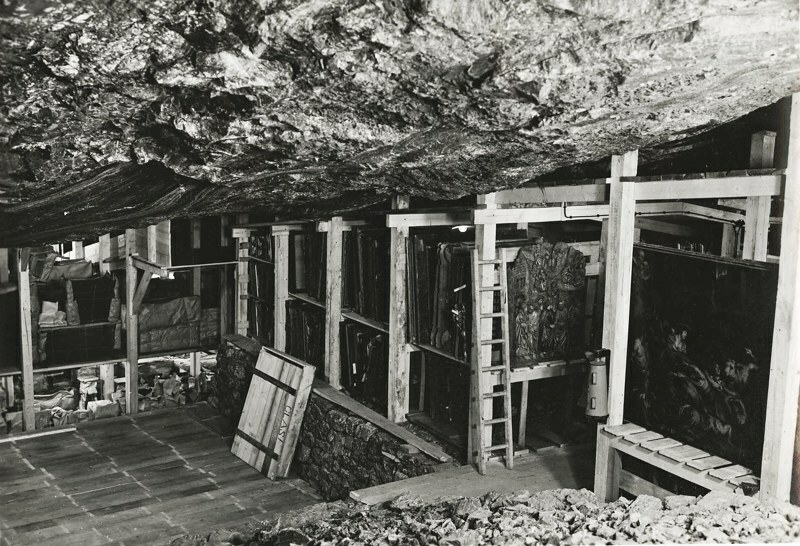 This time, the treasures hold in the buildings were moved before the battle by German officers. The historical city of Milan also suffered extensive damage from Allied ruthless attacks. Leonardo da Vinci's Last Supper was close to be destroyed in 1943, after Santa Maria delle Grazie chuch was hit by the bombs. 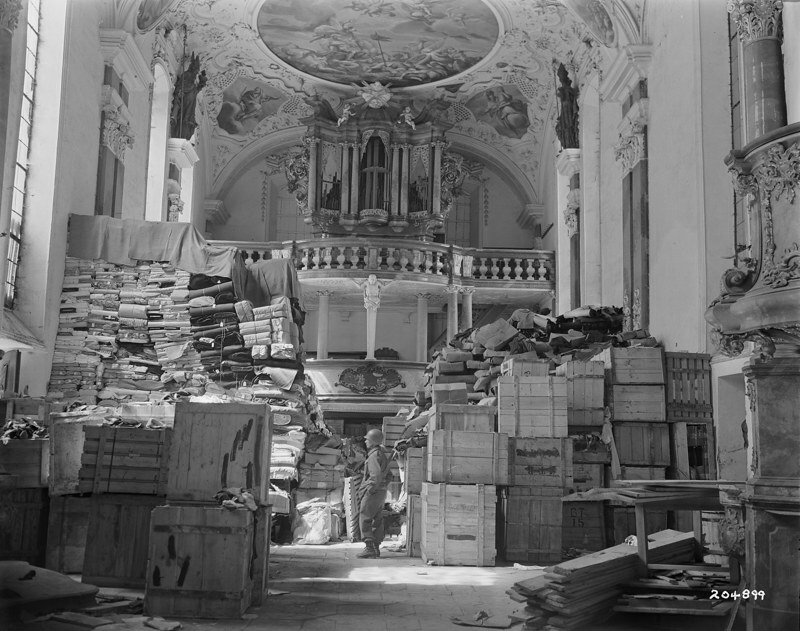 This picture from 1945 is from a church in Ellingen (Bavaria), that US forces used to store some Nazi-looted art. 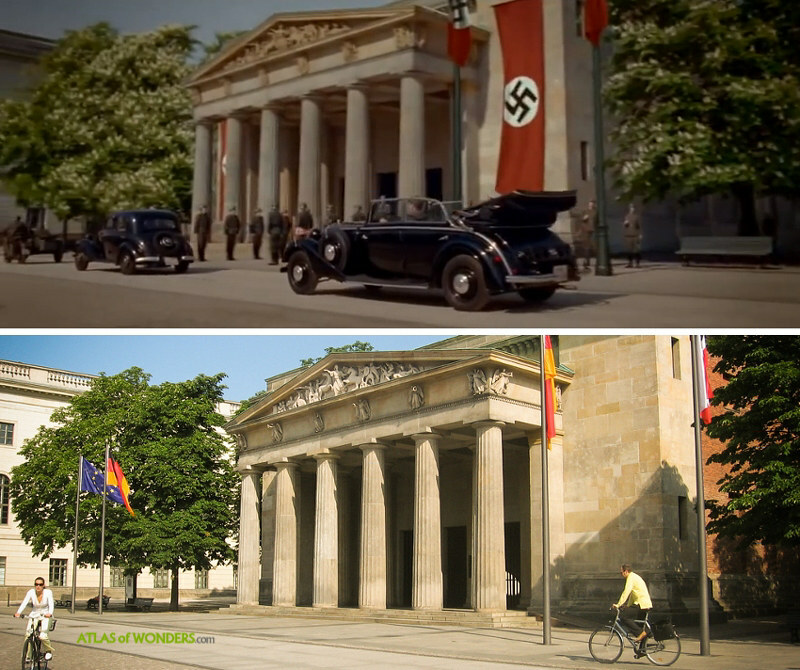 Due to Hollywood propaganda, the perception often is that the Third Reich was vanquished thanks mainly to the US, when it was the Red Army who made the biggest effort to defeat the mighty Wehrmacht. 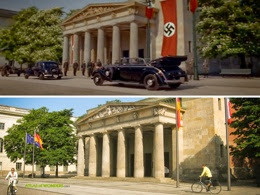 With this film, it may look like Americans were also the saviours of the world art masterpieces... What do you think? Great article, but I'd like to make a suggestion, if I may. You mention the terror bombing of civilian cities 'Dresden, Hamburg, Tokyo', etc..
You do realize that terror bombing was first carried out on the British by the Nazis in their bombing campaign of London. Their Stuka bombers were even fitted with sirens so they'd emit a horrible scream when dive bombing. You also realize that the Japanese bombed China relentlessly, and killed more civilians than died in Hiroshima and Nagasaki combined. Yes, combined. This was prior to the US even entering the war. So, please try to refrain from assigning blame for bombing cities and civilians to the Western Allied powers alone. The Axis powers, specifically Nazi Germany and Japan had actually been utilizing and perfecting this practice years earlier. Terror bombing was by no means an American or British invention by any stretch of the imagination. As the technology increased and the allies benefited from this technology, so did their bombing accuracy and intensity. Thus, Dresden, Tokyo, etc. were bombed with an intensity never before seen. Believe me, if the Nazis or Japanese could have bombed London, Nanking like the Americans or British bombed their cities, they would have. We all know both the Nazis and Japanese were actively trying to develop heavy water (deuterium) atomic weapons before the Manhattan project was even started. It was only after the Nazis began this research that Albert Einstein warned the Americans that this (an atomic bomb) was a possibility and offered his help to build one before the Germans were able. As an American historian with German and Japanese background, I never try to sugar coat what Germany and Japan had done or were trying to do, nor do I demonize the Americans and British for having developed what all sides were trying to achieve. The Allies only got there first. Like I said, great article, and thanks for the images. You worked hard to put this article together. It would be a shame to have it dismissed by many for what might seem a political bias (which I believe was not your intention). Thanks a lot for your brilliant comment, we really appreciate your interesting contribution and your kind words. Also we are sorry for the delay answering, when you wrote we were in Iran, where Internet is slow and heavily censored. Your remarks give us the chance to highlight that our commentary was inspired by the watching of the third episode of Oliver Stone's Untold History of the United States. We linked the caption to a video containing this episode, that unfortunately it's not available anymore. What is your opinion about the approach to WWII in these series? I was not impressed with Stones take on US history and I am not an American. I think he is too biased and has his own agenda being a Marxist. He made a lot of mistakes in his movie "JFK" also. There is an excellent series on WW1 and WW2 on History channel. Called World Wars. It shows all the WW2 leaders who were active in WW1. Very interesting connections that I did not know about. Well worth watching if you can. BTW I really like your blog: very interesting pieces and photography! !